My First ColorBox Inkpad - Clearsnap-My First ColorBox Inkpad. 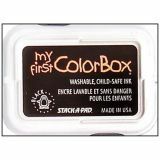 Child-safe ink for stamping fun! 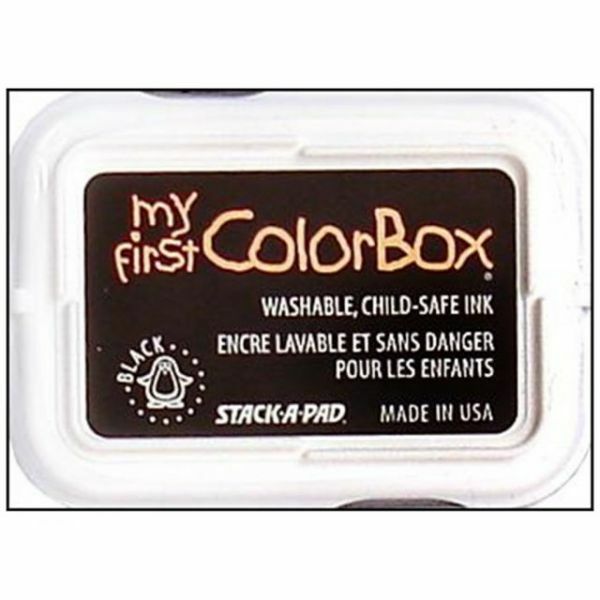 This inkpad features washable, non-toxic ink in a spill-safe recessed inkpad. Cleans up easily with soap and water. For use on washable surfaces only. Inkpads are stackable for easy storage. This package contains one 2-1/4x1-1/4 inch inkpad. Available in a variety of colors: each sold separately. Conforms to ASTM D4236 and F963. WARNING: Choking Hazard-Small Parts. Not for children under 3 years. Made in USA.